Since they haven’t yet perfected human cloning, I wasn’t able to attend the annual SIA Show in Denver a few weeks ago. 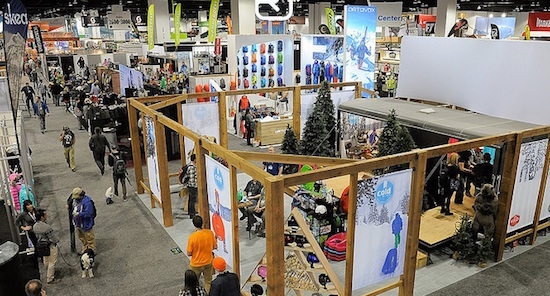 In case you don’t know, this is the snow sports industries biggest trade show, showcasing the latest trends, innovations, product lines, and styles. But the winter season is short, and there’s just too much going on for me to be everywhere at once. Fortunately for me, help was on the way. I was lucky enough to be contacted by Bobby Monacella. 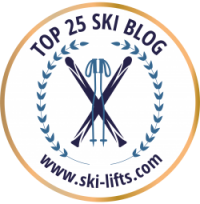 Bobby writes the SIA blog Snow Source, and offered to provide her take on the highlights for women at this year’s show. So take it away, Bobby! Here are some solid facts for ski and snowboard manufacturers to chew on: women influence 95% of household spending and decision-making (SIA Research proves it, but we already knew that, right? ), we represent 42% of the snow sport participant base, and last season we spent a total of $1.6 billion on gear and apparel. 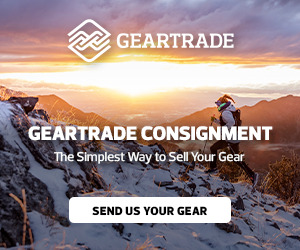 Thankfully, many companies are waking up and producing some amazing gear and apparel that goes way beyond the shrink-it-and-pink-it style of yesteryear…or actually, three years ago. 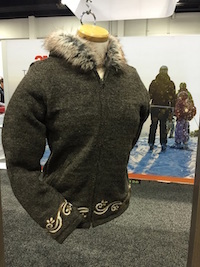 Women demanded more performance from their outerwear, and the manufacturers listened! 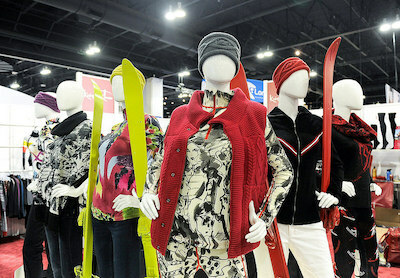 Bibs and stretch are the key performance trends I saw on the show floor in women’s outerwear. Women’s bibs with drop seats were very big this year, with Dakine’s Beretta bibs, i.N.i Cooperative’s Bibster Bibs, and FlyLow’s Foxy Bibs, all debuting for 16/17. 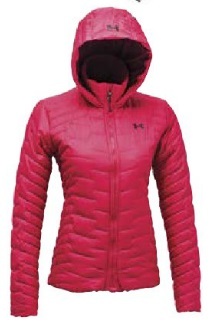 In jackets, highlights included Under Armour’s ColdGear Reactor jacket, which features a breathable insulating layer, cool graduated quilting and a feminine shape. 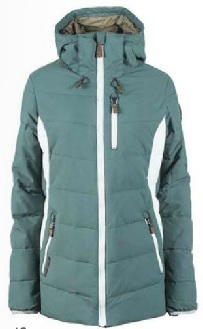 i.N.i Cooperative’s brand-new women’s insulated 4-way stretch jackets also made a big splash. Another stretchy standout was Bergan’s of Norway’s Kongsberg softshell jacket with 4-way stretch and bluesign approved insulation. 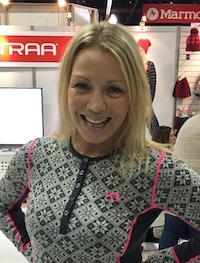 More than in any other category, fashion meets function in baselayers and accessories, as women’s-specific brands continue to meet our demand for technical items that look great, too. 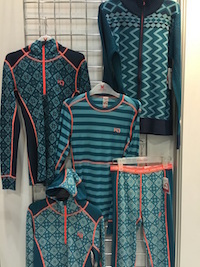 There was a dizzying array of fabulous offerings at the show, but the women-owned brands really stood out because you can tell they get it. 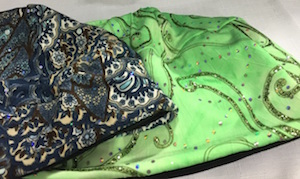 The new Choucas hat company really takes the fashion meets function idea to the limit with blinged-out hats that breathe and look great on a trail run, on the mountain, or in town. Owner Mona L’Heureux told me the brand was born during a ski trip to the Dolomites, and was named after the raven-like birds that nest there. And no worries, the sparkles are flat so they can go comfortably under a helmet. 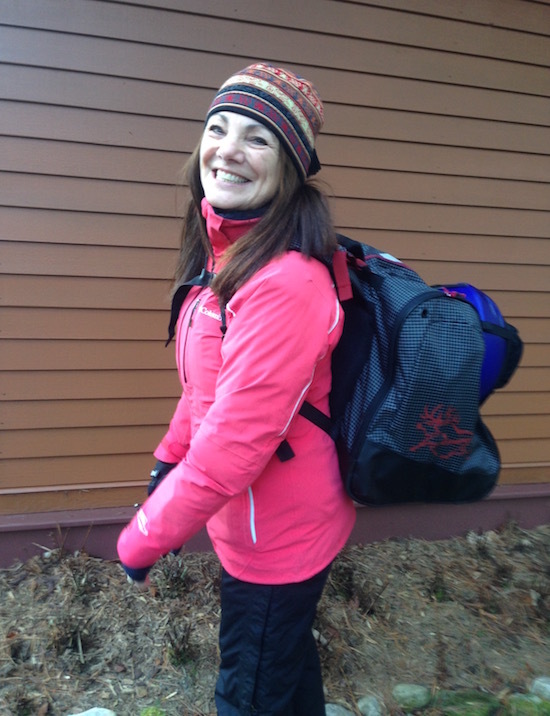 Skida hats, headbands, and neck gaiters in breathable poly and fleece are great for Nordic skiing as well as alpine. 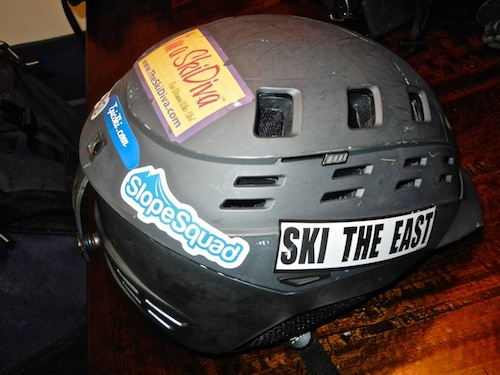 Former Nordic racer and Skida founder, Corinne Prevot, said she began sewing the hats for her teammates, and the business grew organically from there. It was important to her to offer energetic prints and colors to portray the adventurous spirit of the women who wear them. Skida’s newest addition is a Nepalese cashmere collection which is more town-oriented, with muted colors and super-soft feel. At Krimson Klover, splashy prints and super soft merino are the foundation of next year’s baselayer collection. Founder Rhonda Swensen said, “I think that women like to see that we’re women-owned and women-run, and that we have women-owned factories. That’s a really strong appeal, but at the end of the day we also have to have a product that they like and that works for their lifestyle.” I love Krimson Klover because it truly is one of those brands that hits it on all fronts: fashion, function and ethics. Call it athleisure, call it mountain-to-town, call it what you want, this trend continues to grow by leaps and bounds. There are two big reasons brands and retailers are embracing it. First, they know we’re looking for cross-over pieces we can use on the mountain as well as after yoga class. But also, in this era of unpredictable weather patterns, they want something they know will sell. They need the assurance that comes with pieces that can be layered and worn in a variety of conditions. It’s in Mountain Life where the muted colors and wool really come into play. 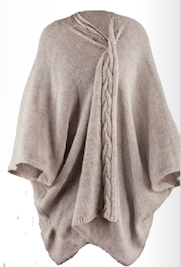 Beautiful wool pieces were everywhere at the show, seen in high fashion luxury capes and ponchos from Jail Jam and Krimson Klover, fair-trade sweaters and knit skirts from Laundromat, and sustainable Colorado-raised merino wool vests and jackets from Voormi. In my opinion, Coalition Snow is one of the best stories from the SIA Show. As far as I know, it is the first and only woman-founded, women’s-specific ski company in existence. CEO Jen Gurecki started the company because she felt that the moment had come when the industry needed a women-owned hardgoods company. I can’t wait to try the Roz G freeride skis, which were developed in cooperation with Olympic freeskier Roz Groenewoud, and which she recently rode to 6th place in the X Games. Coalition also debuts a new backcountry ski for next year called La Nieve, designed by Coalition team rider, Jillian Raymond. The four days at the SIA Show reinforced my feeling that it’s a great time to be a woman skier or snowboarder. With the explosion of gear and apparel made just for us, we have the ability to push our limits like we want to, and look great at the same time. I’m not saying this shouldn’t have happened sooner, but hey, the great news is that the guys are catching on and the women are stepping up. And for that, I raise a glass and say, Cheers, girls! Let’s get out there and rip! Bobby Monacella is the editor of SIA’s blog, Snow Source. She writes about the business of snow sports, with the occasional craft brewery report thrown in here and there. 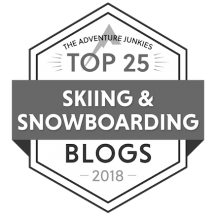 As a former ski patroller, instructor, and eventually marketer at Breckenridge, Sugarbush, and Stowe, Bobby brings over 25 years of industry perspective to her writing. You can find her at Snow Source and view her profile at LinkedIn. PreviousEleven of the world’s scariest ski lifts. Are any of these companies making anything in plus sizes?